Most door-to-door sales recruiters make the mistake of looking at getting a new sales rep started as a one time transaction. This will lead to a lot of fallout before the door-to-door sales season even starts. In this post you’ll learn some door-to-door recruiting tips on how to keep your new reps around without them switching to a competitor. Some door-to-door recruiters obviously come from their experience in the field and for many door-to-door sales reps, after they make the sale, that may be the last encounter with the customer. The company they work for is usually the only one in contact with them from there and there usually isn’t a need to continue to foster the relationship. Unfortunately some recruiters may take this mindset they had from selling into their recruiting career. Doing this can actually cost them a lot of future recruits. 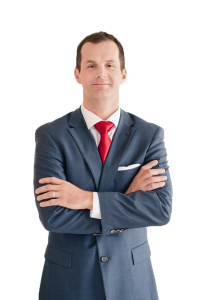 Expecting all of your new door-to-door sales recruits to stick after one encounter or the initial sign on process without any further relationship, is setting yourself up for failure. Many recruiters make the mistake of solely focusing on business only. While this sole focus can get you new sign ups, it can also lead to high fallout. As a door-to-door sales recruiter you’ll want to have a balance of both rapport building as well as a focus on business. All things being equal, most people want to work with people they like. Have you ever had a job where you hated your co-workers or boss? If you have, you probably didn’t work there too long right? Well it’s the same idea with door-to-door sales. If your new recruit doesn’t like you, the probability of them sticking around till the season starts is slim to none. You are the face of your company and if your new recruits don’t have a good experience with you, they will feel the company as a whole is like that and will join someone else. If they feel you left them high and dry as a recruiter, they will get the feeling that’s what is going to happen with your company as well. This can lead to a lot of your new recruits signing with another company who they feel has their back. Another stumbling block with door-to-door recruiters is that they don’t spend enough time on building rapport with their new sales reps. It’s great to sign up a new door-to-door sales rep, but if they don’t stick around until the season starts it doesn’t matter much. This is where building rapport comes in. Hopefully you have some sort of contact with these sales reps after the season starts. This could mean that you are a sales manager, sales trainer, owner, or at least have some interaction with the reps you bring onto the team. Often potential door-to-door sales reps can be wary of a person who is only in it to get them locked under contract and has nothing to do with them from there. Even if that is the case with your company, you’ll still want to focus on building rapport with these new reps, building up to the start of the sales season. The door-to-door sales market can be cutthroat with recruiting new reps, and just because someone signed with you doesn’t mean they will still be with you when the season starts. If you happen to be considering starting a door-to-door sales program for your business, check out our upcoming D2DMillionaire Conference! Learn more about our upcoming conference HERE! 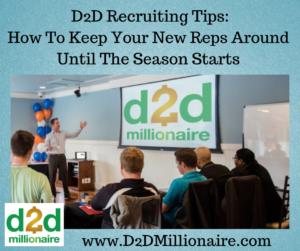 Did you enjoy this post on, 3 Door-to-door Recruiting tips: How to keep new reps you signed around until D2D sales season starts, please retweet and comment below. Recruiting for door-to-door sales can be difficult without the right positioning, so in this post you’ll learn some more effective ways to position your door-to-door sales opportunity as a recruiter. Most people end up doing door-to-door sales as a summer job during their college years. Certainly during this time of your life, you have lots of options for summer jobs. Unfortunately, many summer jobs don’t pay that great, and they can have little impact towards your career. That’s where door-to-door sales differs. Having a door-to-door sales job will allow you to develop many transferable skills in addition to the potential of earning great money. Nothing wrong with working a part time job in retail or food service, or any of the other many jobs you could land over the summer, but those jobs are pretty much just a paycheck. As a door-to-door sales recruiter, you can position your door-to-door sales opportunity as more than just a paycheck. Talk about how your potential recruits can develop life long skills to go along with the money they can earn over the summer. Door-to-door sales is great, and you certainly can make very good income doing it, but for most people it isn’t their ultimate end game for their career. A door to door sales rep can develop many valuable skills like, sales skills, negotiation skills, people skills, determination, discipline, among other things. After college, most employers are looking for more than just good grades. That’s always a plus having those, but many hiring managers are looking for what you can bring to the table for their company. Having the skills you’ll develop through door-to-door sales, are certainly things many employers look for in new hires. So as a or-to-door sales recruiter, be sure to position your opportunity in a way that highlights these extra resume builder benefits. 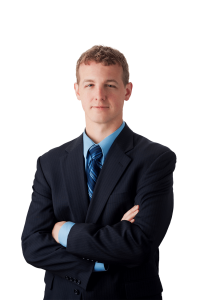 Another added benefit of taking on a summer sales position in door-to-door marketing is who you become while you create success in door-to-door sales. Increase self confidence is another part of becoming successful in door-to-door sales. It’s pretty doubtful anyone would say that they would like to be less confident. The same goes for employers, they really aren’t looking for people who are timid, and lack confidence in themselves or their abilities. A strong sense of self confidence is one side effect of taking on a door-to-door sales position and succeeding. Most people run in fear of rejection and sales. While door-to-door sales might not be a fit for everyone, it is a learn-able skill. So regardless of your confidence levels going into it, you can develop a high degree of confidence overcoming the challenges with marketing door-to-door. This is yet another great advantage and skill set you can learn while taking on a door-to-door sales opportunity. As a door-to-door sales recruiter, you should talk about the increased confidence your potential sales reps will develop by going through your program. Having a thick skin and being able to handle rejection is a great skill to have in the business world or any career for that matter. Certainly as a door-to-door sales recruiter you’ll want to mention the money that is possible in door-to-door sales. You can earn a lot of money while selling door-to-door, but again it’s not everything. It’s not just about the money, but how you frame the money for your potential recruit. For example your recruit may just be a college student. You could frame your door-to-door sales opportunity as a way for them to make enough money in a few short months, so that they wouldn’t have to worry about working a part time job during the school year. This could give them time to focus on their studies and not have to worry about paying for their books, and other expenses. Your potential recruit may be older and has a family to support. You can frame your door-to-door sales opportunity as a way that they can earn enough income to set up financial freedom for their family and live the lifestyle they want. By positioning your door-to-door sales opportunity in a way that covers many benefits, vs just a pay check, you’ll get much better results as a door-to-door sales recruiter. Did you enjoy this post on, How to position your door-to-door sales opportunity while recruiting, please retweet and comment below. Finding new recruits for your door-to-door sales program is very similar to approaching a new potential customer on the doors. You need to have a solid first impression with your potential recruits. In this post you’ll learn some tips on how to be a better door-to-door sales recruiter. Obviously you know that your company has great products and services, and a good compensation plan for your sales reps, otherwise, why would you be working for them. That being said, having all those things in place can certainly help you recruit more sales reps, but it isn’t everything. First and foremost, new potential sales reps are buying you, not just your company. If they aren’t sold on you, they will be far less likely to work for your company. This makes having a good first impression very important for your recruiting process. Just as a new potential customer will judge a door-to-door sales rep based on their initial approach, so will new potential recruits. With door-to-door sales your first few seconds with a potential customer can make or break the sale. The same thing goes for talking to your new potential recruits. This is why having a thought out 30-second elevator pitch for them is so important. The first few seconds you talk with a potential recruit can either push them away from your company, or create curiosity for them to learn more. You’ll want to have an elevator pitch that both catches their attention, but also keeps them interested to fully hear you out. Along with having an effective elevator pitch for your recruiting process, you’ll also want to look the part. You are your company’s walking, talking, billboard and how you represent your company is important. Most new door-to-door sales rep recruits are going to judge your company and sales position based on you. If you portray behavior that is rude, aggressive, arrogant, pushy, or any other negative characteristic, that is how your potential recruits will see your company as well. Ideally you aren’t just a recruiter for your company and you also have future interaction with these reps. That could be as a sales manager, trainer, or even owner of the company. If that’s the case, you can further explain to your potential recruits that you aren’t just there to sign them up for your company, but you’ll be around to help them long-term. Some door-to-door sales companies focus on the number of reps they bring on and assume with enough numbers some will stick. That’s certainly one approach, but we recommend having a solid training program and support in place to help all of your reps succeed. This recruiting approach will not only develop a better reputation for your company, but many reps will come back multiple years in a row because of their good experience. They might even refer friends to your company, making your job as a recruiter even easier! Did you enjoy this post on, How to make a good first impression as a Door-to-Door Sales Recruiter, please retweet and comment below.